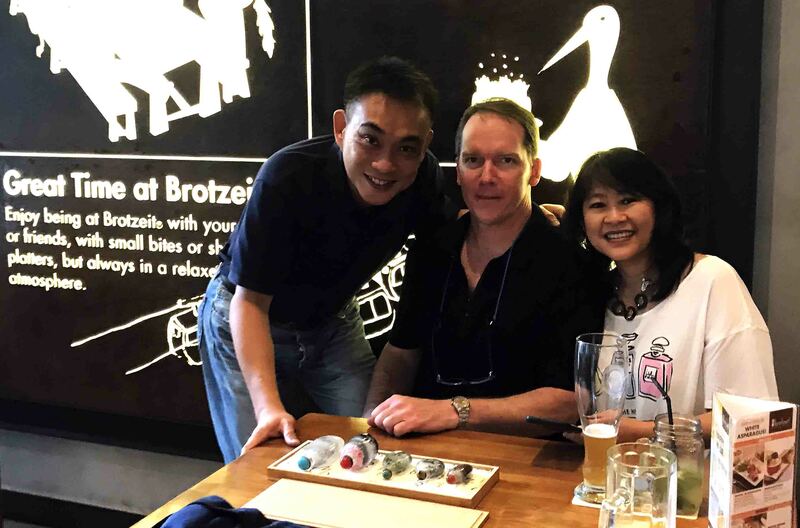 Take a carefree, sunny afternoon in Singapore, add a couple of beers plus 40-50 inside painted snuff bottles from the old master like Ye ZhongSan to modern master like Zhang Yong and Lee RuChen. You will get a fantastic art appreciation afternoon that every art lover will remember. Recently, that’s an afternoon I spend with J.R. and his friend Prisca. They are holidaying in Singapore and decided to meet up to see my snuff bottles. 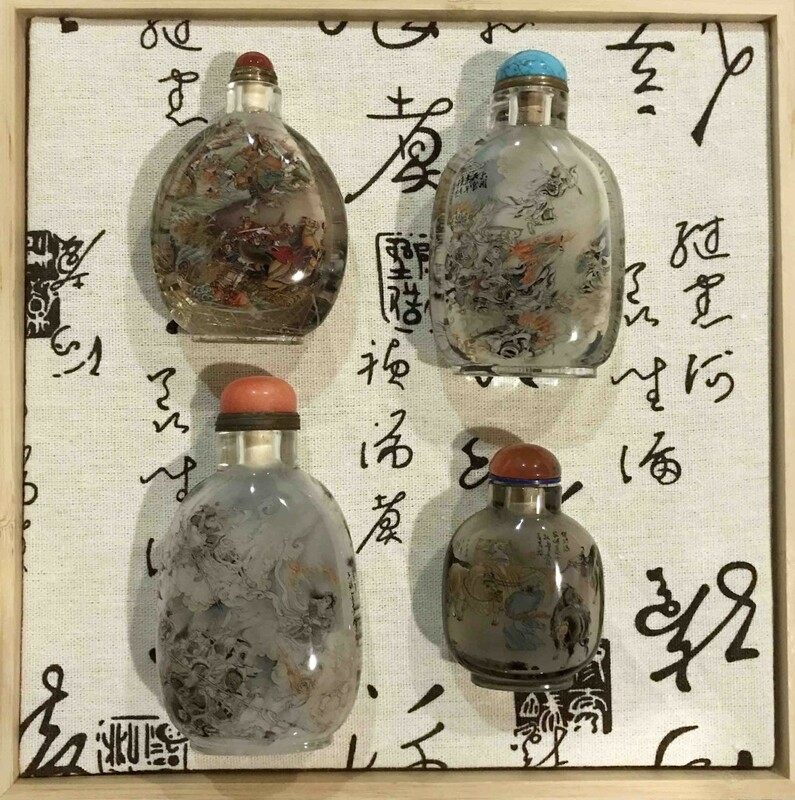 Snuff bottles are a microcosm of all the arts of China, its jewel-like quality: small, beautiful, intricate and ease to handle makes them a unique artifact that you can hold in your palm to enjoy and appreciate. 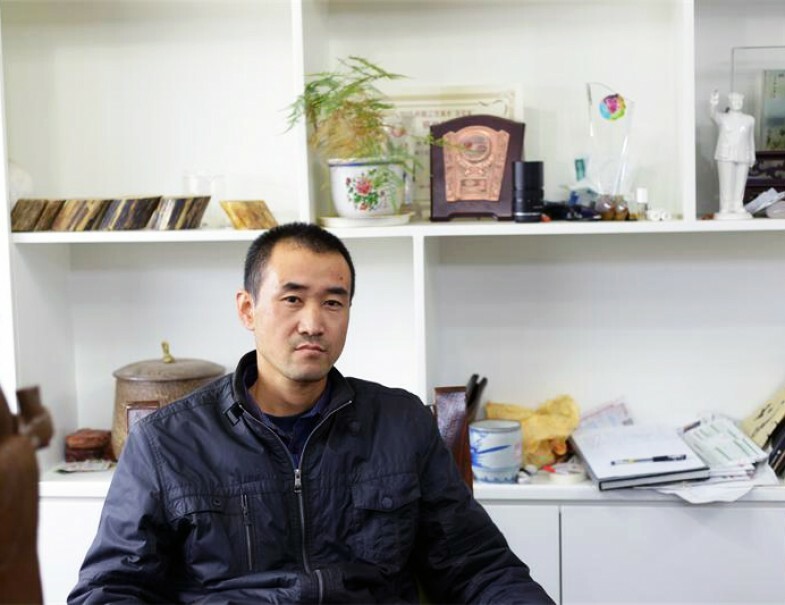 For the meeting, I brought along master pieces from Ye ZhongSan, Wang XiSan, Chen RunPu, ZhangYong and Lee RuChen. 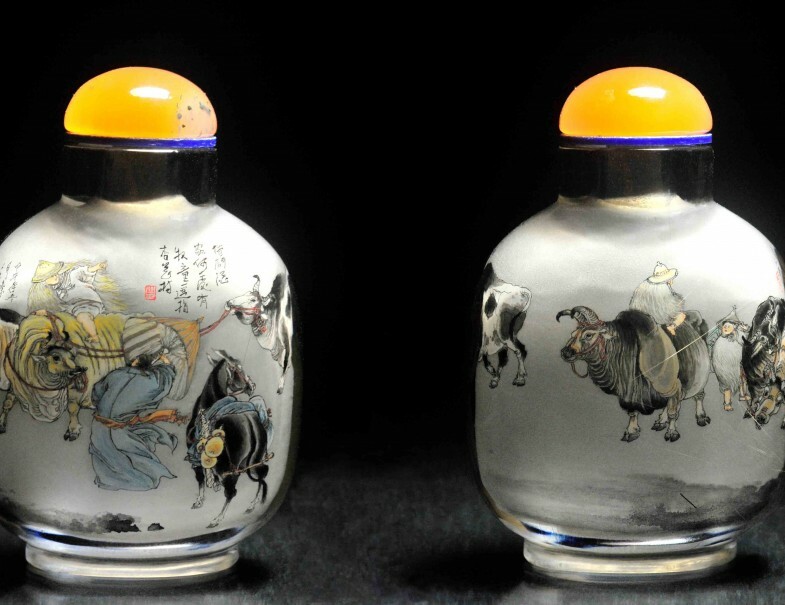 We lined up the bottles according to the year that they are painted and admired the progression of different painting techniques, from bamboo tip brush to modern painting tools, used by masters of different era. It was definitely a feast for the eyes ! Prisca is a creative ceramic artist from Indonesia and she shared a couple of her beautiful creation with different modern glazing and firing methods and techniques. J.R. Hope that you will always enjoy those beautiful bottles that you brought home! THANKS for the Afternoon! It was a pleasure to meet you and spending time together regarding the snuff bottles. Your collection you shared was very nice indeed! I look forward to getting the narrative for each bottle, when you get an opportunity. It was an unexpected surprise to get the calligraphy bottle! I forgot to ask what style of script it was? I’m truly thrilled with all the bottles! Additionally, thank you for the presentation boards and individual boxes. Contact us if you are interested to view some of the bottles while visiting Singapore.